The first time I tasted alcohol was in Standard 5 when I secretly tasted a glass of my Dad’s “Hanepoot.” The sweetness was very nice and I could taste the grapes in it. I did it because my sister challenged me. This was in 1957 in Bellville. I did very well academically at school, sports and socially. Rugby, cricket and tennis were my favorite sports and I was usually in the first team. I was big and strong and a good leader. In the “Voortrekkers” and Country Services, I progressed to top-level school. My parents were good tennis players and always at the town’s tennis club or played at my father’s school. My Dad was vice-principal at a high school and we went with the school sports tours regularly, even when I was little. Life was without problems. Politics and apartheid has not bothered me, we were faithful churchgoers and took part in everything as a family. In my St. 9 year my mother died in a car accident. I was devastated but accepted it as God’s will. My father soon remarried and I was very lonely. My girlfriend’s mother was very comforting and supportive and I spent more and more time at their house. The lady’s smoking fascinated me and I secretly started smoking too. Cavalla 10 or Texan Plain. The Texan was popular at garage parties – if you could shake out the cigarette like a cowboy and present for your friends. Mr Cool!. In our house, never smoked , except for my Grandpa that smoked his pipe in our house when he and Grandma came to visit. The rest of our family and friends did not smoke. Together we listened to the radio, played bridge and drank rooibos tea. Mom and Dad drank hardly anything except sometimes beer, Hanepoot or Lieberstein with his friends or brothers-in-law. At the end of St. 9 me and I my girl had a braai on New Year’s Eve with her family beside the swimming pool at their home. We have already gotten romantic, but I had to keep my hands to myself. That night I drank 7 cups Late Harvest. The last thing I remember was that I went into the Hydrangea to throw up. On New Year’s Day they told me that I could not keep my hands to myself and my girlfriend pushed me into the pool to cool off. She had to dive in to save me, otherwise I would have drowned. I remember none of it, or how I got home. I wondered why my clothes were damp when I wake up on New Year’s morning. The headache was not nice at all. My late night swim was a big joke at my girlfriend’s house. At university and during my working career, I drank very little and did not smoke. I still did very well in sports and was later happily married to a beautiful woman with a professional career as a physiotherapist. I retired at 55 in 1999 after a successful career as a lawyer. I was young and fit and wanted to enjoy life. My wife would not give up her practice and so we decided to stay in our house. Our 2 sons were married and independent in their own homes and their own careers and families. I had enough property, shares and investments to retire comfortably. The boys and their families would come and eat with us every Sunday and we would vacation together regularly at our holiday house in Kleinmond. I was an elder and chairman of the Finance Commission. The perfect life. What more do you want? After retirement I joined the club because I was bored at home day. Soon I had a lot of new friends and we ate together every afternoon in the clubhouse. And the drinks did not stay behind. The best Boland estate wines and expensive whiskey. Often we left the golf early on, and just went on a wine tour. Stellenbosch, Constantia, Paarl, Worcester, Robertson, Hermanus, Tulbagh. We also hunted in De Aar and arranged and fishing weekends in Lambertsbay. Then we’d drink heavily. I started to drink in the morning when my wife left for work so I could only feel better and stop shaking. I neglected my friends and family because they started talking behind my back. A meal with family is so boring because they drink too little. And who wants to eat if there is booze? My wife didn’t want me to drive to a family dinner and it was for me, Ben, a great embarrassment. So I stayed home and my wife rather went alone to visit family. 1. During my annual medical examination my doctor said that my liver was hardened and I have 3 to 6 months to live. 2. My oldest son forbade me to go see if he plays rugby because I was an embarrassment to him on the field. 3. My youngest son has broken all contact with me because he did not want his children to remember a drunken grandfather. 4. My wife moved into her own room because according to her I smelled strongly of alcohol at night in bed. After careful reflection, I decided to turn a new leaf. I wrestled for 4 days and nights with the Lord and I realized that I cannot stop drinking without assistance. Ramot in Parow helped me with the nasty withdrawal and the psychologist helped me to start thinking anew. 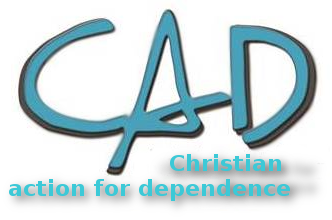 At Ramot I also heard of the CAD (Christians Against Drugs) aftercare services. I also met a few CAD members, some of them sober and healthy for 37 years already. 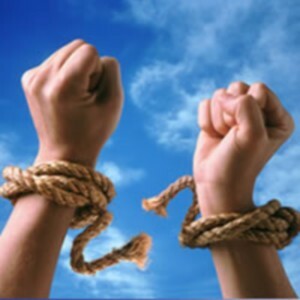 Their testimonies prompted me to stay sober and change my life. After completing my program at Ramot I terminated our domestic and garden services. I have since been full-time cook, domestic help, gardener, maintenance officer and I am doing our washing and ironing as well. I stay away from the golf club and doing volunteer work at our old age home as a driver, gardener and caretaker. My life has totally changed. CAD helped me to fully enjoy the new life. I attend CAD meetings, provide my testimony everywhere I go, help people who are still trapped in addiction, visit other groups and clubs, go to CAD conferences, helping to establish new CAD groups and develop specifically the establishment of a transitional housing to help poorer patients to stabilize in a sober life, I’m back on board and my health is very good. I have been sober for 7 years now by grace. My wife retired and every day we are on a second honeymoon. My grandchildren love their Grandpa and Grandma and my boys also stopped drinking. 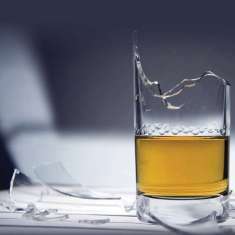 It all happened just because I stopped drinking. How stupid I was not before. How could I choose alcohol over happiness? I went to 65 years and reached my real purpose in life. There are many things retirees can do to continue to be useful citizens. Join the CAD, stop drinking and discover your purpose in life.